Here in this article, I want to take you to the west coast of United States of America. The town with it’s worldwide known bridge “Golden Gate Bridge” and named San Francisco got several public transportation options. And here I want to explain them to you so when you visit the town, you know a bit more. Let’s begin… and the first thing you should know is that the public transportation options in San Francisco is many. You have several services like BART (Bay Area Rapid Transit)which is like a metro / local train system. Then you have a system called Muni METRO. Then your have Caltrain and in far north yet another train system called SMART. So,.. you’re confused? That is fully understandable now! But I didn’t want to leave you just like that. No! Because here I try explain the differences. And the most strange part is that NONE of these goes to Golden Gate Bridge! Reason that I put these in the very same category, is that they sort of overlap each other. They cover the city center of San Francisco, together with BART and Caltrain services. The lines got letters instead of numbers, but the system looks like a totally mess. One example is the Line T that runs from Sunnydale! This line runs up to Embarcadero where it meets Line J, Line L and Line M. Then it continue in a tunnel until a station named Castro, but the line continue still! But onto the next station named Forest Hill it changes to Line K! Same for the other way. I just don’t understand how people understands where to go and especially tourists or other visitors? A great tip here is! Make sure that you check the map for the inner city of San Francisco. They all run odd half circles. I just wonder what sort of public transport planner did the city politicians hire here? The whole system is a mix of the tram systems you find in Essen and Den Haag in Europe. But with a line number system that is just ackward and easy to get lost in. Ohh,.. by the way. To not mess even more up. Some of the trams also runs on the same routes as Muni Metro. These are Line E and Line F and they have vintage tram wagons running on them. 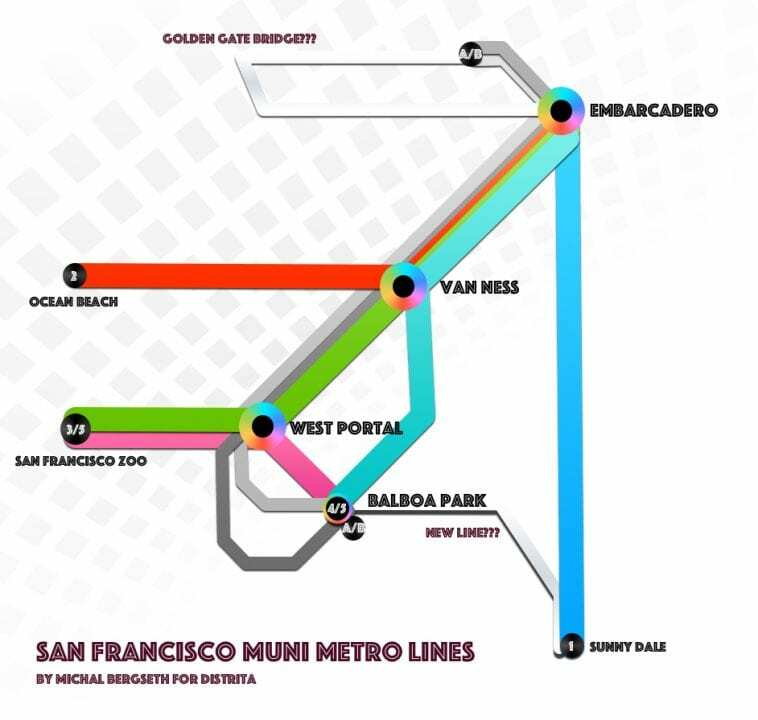 The Muni Metro is a streetcar-like network which runs underground in the city centre with 8 underground stations. Along Market Street, the tunnel is shared by the Muni Metro (upper level) and BART (lower level). The western section of the tunnel between a point west of Castro station and West Portal, the so-called Twin Peaks Tunnel (3.5 km), was opened on 3 Feb 1918 with one underground station at Forest Hill. The central tunnel is used by all Muni Metro lines (lines K and T are operated jointly), with lines J and N leaving through a portal west of Van Ness station. At the eastern end, lines J, M and L reverse in the underground sidings beyond Embarcadero station, while lines N and T surface before reaching the Folsom stop. While the western branches have a very basic streetcar alignment, with stops identified by a simple yellow paint on some nearby pole, the new branch from Embarcadero to Sunnydale runs on its own right-of-way with high-level platforms and can thus be classified as a proper light rail line. Along the tunnel stretch, Muni Metro vehicles are operated in ATO mode. Along the western branches, only two stops have full high-level platforms; at several others there are ramps which allow disabled passengers to board at the front door. And if this wasn’t enough!? In the northern part, there is a totally new railway project called SMART. But after closer look it seems as if the trains runs on diesel rather than power? Why!? And why isn’t this connected to the trains running on the other side of San Francisco Bay? Trains can run on bridges for cars also…! There is also a local train style line running from San Francisco station in the middle of the city, where Muni METRO Line T and Line N. This line takes you to another city that is a bit more south, San Jose (Santa Clara Valley). This system is named Caltrain. This type of transport is positive as it actually connects several cities. However, within San Francisco or San Jose city borders, people should be able to have one ticket system, which I will explain a bit later in this article. Line E – Vintage tram route from north of the city centre to Embarcadero to Caltrain! Line F – Vintage tram route from north of the city centre to Embarcadero to Caltrain! Line M – Runs from Balboa Park also, but runs south before it takes a U turn. Then it runs from West Portal to Embarcadero underground all the way! Line N – Runs from Ocean Beach to Caltrain. It follows Line T and Line F to Embarcadero and then Line T to Caltrain! Line T – Runs from Sunnydale to between Castro and Forest Hill stations that are built underground! MUNI tickets and BART tickets are sold separately. 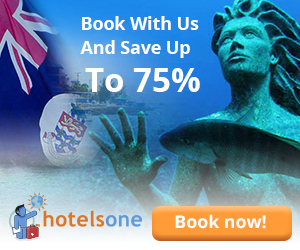 For short term visitors, there is no advantage in trying to find a card that includes both fares. Please purchase your BART ticket and your MUNI ticket or MUNI Passport (explained below) separately. So, there is no way to combine these. Even though they all seem to help each other. But instead it looks like these companies competes against each other, instead of thinking of the benefit that one ticket could have done for the area. Here in Oslo, all of the companies running the busses, metros, trams and trains have agreed on one ticket system within Oslo area. This is fair, because Caltrain and BART meets each other at Millbrae and San Bruno stations, which can be seen on this map over San Francisco Bay Area Map. BART seems also to be more of a real metro than a local train also. BART also shares several stations in San Francisco center area also. Especially between Civic Center and Embarcadero. Public Transportation options in San Francisco should be way easier for those moving around in the city. Here I’ve tried to make the structure much easier to understand. I also include more of the vintage tram line into the system as it would benefit every traveler that knows the town and those coming for a visit. Also that Line 1 which is Line T today would go all the way to Golden Gate Bridge, meeting the tram lines there would be perfect. Also linking Balboa Park with Sunny Dale would be great. A new tunnel between West Portal and Balboa Park would make sense also. These are just ideas, but I am sure that the whole city would smile a lot more fixing its Muni METRO and TRAM lines structure! ALSO! If the old trams and Muni METRO would define what is what, people would understand more. The trams that runs the hills of San Francisco city center would also have them, while the Mini METRO lines could have Line numbers. Make it easier for people! I might be very harsh towards San Francisco, but this city have the possibility to change everything for the better. All steps from here and onward can be only positive! Because this system got potential, but then the city government needs to talk with the transport companies and come up with a much better solution. I just ask myself! Who decided the Line structure especially for Muni METRO and the tram system? Public Transportation is not just something that you build up when you drink at a bar. Its a serious thing about getting people going from A to B in the right way. The tunnels and tracks is built, so why not change it!? You have to, is our advice! My idea here is without doubt a much better idea. There are too many lines running without a meaning at all. Make the public transport lines tidy is really important and here San Francisco have something to do for sure.